James W. Goll: "3 Keys to Overcoming the Jezebel Spirit"
When James Goll speaks, I listen...and that's all there is to it! We've been receiving more sobering words lately...and there's a reason for it. God is anointing and equipping the saints to stand against the darkness in our day. Dr. James Goll is one who knows very clearly the times and seasons we are in...and I so appreciate his heavenly insight! For every problem God has a hope solution. Even in our Last Days Battle with the Jezebel spirit, the Holy Spirit is ready to anoint godly leaders and consecrated Believers with His grace and power to overthrow and displace every spirit of wickedness in Jesus name! Remember, every mess is an opportunity for God's next miracle. So let it be in our day and in our families, cities and nations. "3 Keys to Overcoming the Jezebel Spirit"
The following is a brief review of 10 significant characteristics of the Jezebel spirit to lay a foundation on which to build. 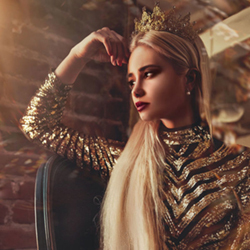 In Scripture, 1 Kings 17-19 gives the primary historical setting of Queen Jezebel's reign in Israel and her demonic schemes to control everyone in her sphere of influence. 1. Jezebel's ultimate goal is always control. 2. The Jezebel spirit attacks, dominates or manipulates those in authority. 3. The Jezebel influence causes fear, flight and discouragement. 4. People under Jezebel's influence tend to be natural leaders, although often operating covertly. 5. People under Jezebel's influence are often insecure and wounded. 6. The Jezebel Spirit functions subtlety and deceptively. 7. This dark Jezebel spirit promotes pride, independence and rebellion. 8. The abdication of an Ahab empowers a Jezebel spirit to operate. 9. Jezebel is usually in alignment with a religious spirit. 10. The families of people under Jezebel's influence are often dysfunctional and out of order. "The spirit of Elijah brings restoration where evil has temporarily spread division and strife." "Now Ahab told Jezebel all that Elijah had done, and how he had killed all the prophets with the sword. Then Jezebel sent a messenger to Elijah, saying, 'So may the gods do to me and even more, if I do not make your life as the life of one of them by tomorrow about this time.'" The abdicating nature of Ahab empowers Jezebel. She resists and opposes true godly authority and desires to control and exercise power over everyone. She sets herself up against the "Elijahs" in particular. The "Elijah spirit" of the end times will stir up and expose both the passivity of Ahab and the control of Jezebel. "So she wrote letters in Ahab's name and sealed them with his seal, and sent letters to the elders and to the nobles who were living with Naboth in his city. Now she wrote in the letters, saying, 'Proclaim a fast and seat Naboth at the head of the people; and seat two worthless men before him, and let them testify against him, saying, "You cursed God and the king." Then take him out and stone him to death.'" Jezebel usurps her husband's or her leader's authority and often acts in their name. She manipulates and controls leadership and attempts to fill the Ahab vacuum with power plays, lies and even religious works. She uses the vacated platform of Ahab to accuse others of what she has done. "Surely there was no one like Ahab who sold himself to do evil in the sight of the Lord, because Jezebel his wife incited him. He acted very abominably in following idols, according to all that the Amorites had done, whom the LORD cast out before the sons of Israel." Ahab gave in to the seductive witchcraft and behaved in the vilest of manner by going after idols. Jezebel urged her husband to do all kinds of evil. "'You shall strike the house of Ahab your master, that I may avenge the blood of My servants the prophets, and the blood of all the servants of the Lord, at the hand of Jezebel. For the whole house of Ahab shall perish, and I will cut off from Ahab every male person both bond and free in Israel. I will make the house of Ahab like the house of Jeroboam the son of Nebat, and like the house of Baasha the son of Ahijah. The dogs shall eat Jezebel in the territory of Jezreel, and none shall bury her.' Then he opened the door and fled." Ahab's passivity emboldens the assertive nature of Jezebel. This demonic spirit destroys families. The end result was that both family lineages were cut off. Eventually the blood shed of God's true servants was avenged. "And to the angel of the church in Thyatira write: The Son of God, who has eyes like a flame of fire, and His feet are like burnished bronze, says this: 'I know your deeds, and your love and faith and service and perseverance, and that your deeds of late are greater than at first. But I have this against you, that you tolerate the woman Jezebel, who calls herself a prophetess, and she teaches and leads My bond-servants astray so that they commit acts of immorality and eat things sacrificed to idols.'" Jezebel is empowered by Ahab's passivity. But in the midst of this, the Lord always has a solution. In the heat of the battle, Jehu, who is anointed as one of the three successors of Elijah, is called to strike down Jezebel and Ahab's entire lineage, legacy and household. "When Joram saw Jehu, he said, 'Is it peace, Jehu?' And he answered, 'What peace, so long as the harlotries of your mother Jezebel and her witchcrafts are so many?'" Jehu, whose name means, "Yahweh is God," discerns the roots: witchcraft and idolatry. Rebellion is as the sin of witchcraft, and arrogance (stubbornness, insubordination) is as iniquity and idolatry (see 1 Samuel 15:23). Jehu not only discerns the roots, he does not partake of the false appeasement by which Jezebel operated. "When Jehu came to Jezreel, Jezebel heard of it, and she painted her eyes and adorned her head and looked out the window. As Jehu entered the gate, she said, 'Is it well, Zimri, your master's murderer?'" Jezebel uses seduction and sexual manipulation and payoffs to control men. When that does not work, she uses shame, scorn and arrogance. "Then he lifted up his face to the window and said, 'Who is on my side? Who?' And two or three officials looked down at him. He said, 'Throw her down.' So they threw her down, and some of her blood was sprinkled on the wall and on the horses, and he trampled her under foot." Jehu confronts without fear, as he knows his sphere of authority. Jezebel was not conquered by Elijah but by the kingly anointing of the next generation under Jehu. "Remember, every mess is an opportunity for God's next miracle." "When he came in, he ate and drank; and he said, 'See now to this cursed woman and bury her, for she is a king's daughter.' They went to bury her, but they found nothing more of her than the skull and the feet and the palms of her hands. Therefore they returned and told him. And he said, 'This is the word of the LORD, which He spoke by His servant Elijah the Tishbite, saying, "In the property of Jezreel the dogs shall eat the flesh of Jezebel; and the corpse of Jezebel will be as dung on the face of the field in the property of Jezreel, so they cannot say, 'This is Jezebel.'"'" Jehu operates under a fierce warrior anointing. Jezebel's destruction was so complete that she was unrecognizable. "But I say to you, the rest who are in Thyatira, who do not hold this teaching, who have not known the deep things of satan, as they call them – I place no other burden on you. Nevertheless what you have, hold fast until I come. He who overcomes, and he who keeps My deeds until the end, TO HIM I WILL GIVE AUTHORITY OVER THE NATIONS; AND HE SHALL RULE THEM WITH A ROD OF IRON, AS THE VESSELS OF THE POTTER ARE BROKEN TO PIECES, as I also have received authority from My Father; and I will give him the morning star." What is ultimately at stake is the authority and rulership of the nations in God's stead. Overthrowing Jezebel aids in spreading the Gospel of the Kingdom of our Lord Jesus Christ into the entire world. There is a lavish reward waiting for those who partake in this Kingdom advancement. 1. The Key of the Elijah Transfer. After surrendering to the call, spending years serving and passing many tests, Elisha became the recipient of the transfer of Elijah's mantle to the next generation. Elisha asked for and received a double portion of the anointing that rested upon Elijah. Why did Elisha ask for a double portion? Why did he twice declare, "My father, my father?" Perhaps it would take a double revelation of fatherhood to combat the forces of evil in the next generation. In every generation there are distinct keys for overcoming the powers of evil. 2. 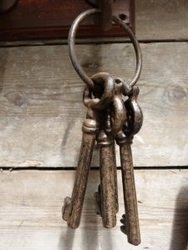 The Key of the Kingly Anointing. Not only did Elisha receive a double portion of the mantle that rested upon Elijah, but by careful observation we find there were three who were chosen to follow in the footsteps of their father Elijah: Hazael, Jehu and Elisha. Note that two of the three were anointed to be kings and only one was set a part as a prophet. Jehu, king over Israel, was the one appointed to overthrow Jezebel's palatial reign. A key is revealed here concerning the kingly anointing of ruling and reigning in Christ Jesus. 3. The Key of the Joining of the Generations. We must call forth the truths of Malachi 4:5-6 to win this end time battle of the ages. The spirit of Elijah results in joining the generations – where hearts are turned to the Lord and to one another in cooperation. The spirit of Elijah brings restoration where evil has temporarily spread division and strife. But this, too, is subject to change! It is vital to remember that we do not wrestle against flesh and blood but against the powers of darkness. We must cloth ourselves in the Spirit of Christ and become part of the solution, declaring that the favorable year of the Lord has come bringing freedom for the prisoners and all who are oppressed. 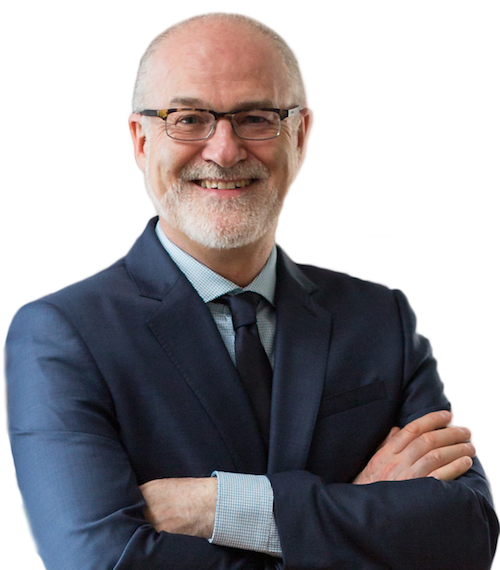 Dr. James W. Goll is the President of Encounters Network, the International Director of Prayer Storm, and the Founder of God Encounters Training – an eSchool of the Heart. With great joy James has shared Jesus in more than 50 nations, teaching and imparting the power of intercession, prophetic ministry, and life in the Spirit. James is the prolific author of numerous books, including The Seer, The Lost Art of Intercession, The Coming Israel Awakening, Deliverance from Darkness, A Radical Faith, and many others. He has also produced multiple study guides and hundreds of audio and video messages (click here for more). James and Michal Ann were married for 32 years before her graduation to Heaven in the fall of 2008. James has four adult children who are married and all love Jesus: Justin, GraceAnn, Tyler, and Rachel, and multiple grandchildren. James continues to make his home in Franklin, Tennessee.